Current regulatory policies must change if there is any hope of saving natural beaches. These changes cannot take place the public's help. 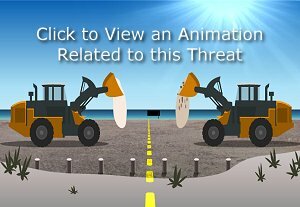 A multi-year study of a four-mile long renourishment project in Martin County revealed much of what we now know about the impacts of beach nourishment to the nesting beach and sea turtle nesting. The study consisted of collecting extensive nesting data on the nesting beach before the nourishment project and comparing it with data after the project and with another beach that had not been nourished. The study concluded that there was a significant reduction in nesting success (turtles that come ashore and successfully nest) and an increase in false crawls in the year following the renourishment. Also a higher percentage of nests are laid closer to the water (since the new beach is so wide and flat) and are prone to being washed out during high tides and as the beach begins to naturally recede to a more normal configuration. Most of these negative impacts were greatly reduced in year two and by year three nesting returned to normal.